The Memorial Day weekend means trips to the beach, the mountains, or a fishing trip on a lake. It also means it’s time to spruce up your home to get it ready for the summer season! So if you’re staying home this Memorial Day weekend, here are some projects to tackle around your house before the hot summer season begins! We all want to spend time outside over the Memorial Day weekend! Go outside and look around – there’s plenty to do right in your own back yard. Take advantage of the sunny weather by preparing your garden and landscaping for summer. Don’t be afraid to get dirty! 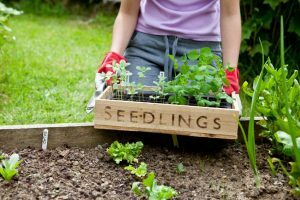 Get in those gardens to pull weeds, mulch your flower beds, trim shrubs or bushes, or plant flowers or vegetable plants in the garden or planters. Clean driveways and outdoor areas to get rid of the winter and spring dirt that was left behind. Hose or sweep off your deck, sidewalks, and patio. If needed, stain or clean your deck and fix any loose boards or nails. Use a power washer and rediscover the real color of your driveway, porch and patio! Your gutters have been collecting leaves and other debris for a couple months, so Memorial Day is an ideal time to clean out your gutters. This should be done at least twice a year. Scoop everything out by hand then spray a hose into the gutter to wash it out. This will keep your gutters clear and ready to handle summer time down pours! Prepare your patio furniture and barbecue for all your summer parties. Take your outdoor furniture out of storage and set it up; then clean each piece thoroughly. 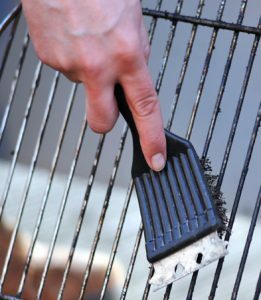 Wipe down your barbecue and scrape away any grimy or crusty substances that may still be on your grill. Now you’re ready to host your first barbecue… and Memorial Day is a perfect time to do it! If the weather doesn’t cooperate, and you’re stuck inside, don’t worry – there are plenty of rooms inside waiting for your attention! Tidy up your garage. Memorial Day weekend is a great time to organize your garage and sweep out its floor. If you’re tired of all the clutter, you may even want to put up shelving units or storage bins. If you haven’t used something for a year, then throw it away, or plan to have a yard sale to get rid of things you no longer need or use. You don’t necessarily need new appliances, after a good cleaning, they’ll be as good as new. Use your long weekend to wipe down interior surfaces of your refrigerators and freezer, stove tops and ovens. Use your vacuum attachment to clean out all the refrigerator coils. 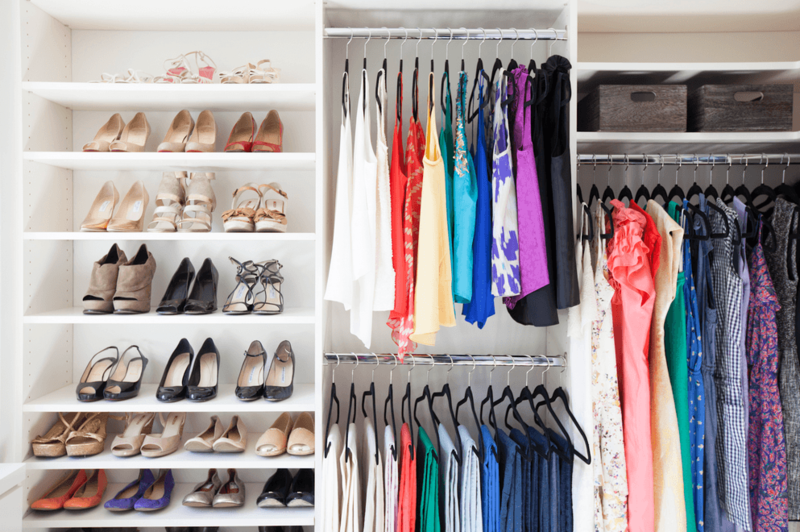 Organize your closets. Are you ever going to wear that sweater again? Open up some space in your closet by donating clothes, shoes or handbags that haven’t seen the light of day in years. 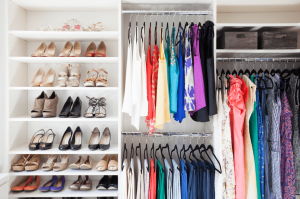 Rearrange your entire closet by swapping out your winter clothes for your summer clothes so you’ll have them easily available for warm weather days. And after all your chores are done, sit back and enjoy your clean, organized, beautifully landscaped home – you earned it! Have a Happy and Safe Memorial Day!